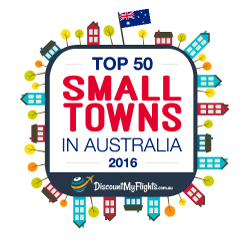 Whether you are travelling solo, with a partner, friends or family, a warm welcome is waiting for you in Blayney and its historic villages. Choose from a wide range of accommodation including self-contained, bed and breakfast, motel, hotel and camping options. Rest assured you will be sleeping in a region filled with charm and country hospitality. You are in good taste with a variety of eateries to suit all tastes and budgets from local pub meals, cafes and award winning ‘hatted’ restaurants. A thriving agricultural industry makes the region a haven for delicious fresh produce, farmers markets and quality cool climate wineries to tempt you. Browse our dining options, including opening hours and reservation details. 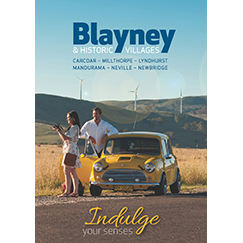 Plan your visit to Blayney & Villages to take advantage of vibrant local events, country shows, market days and festivals. Your opportunity to indulge in the region’s beautiful gardens, cycling and running challenges, rich culture, arts community and heritage. Here’s a list of upcoming events to help plan your visit. A wide range of outdoor activities, historic sites, boutique shops, galleries and dining experiences are all to be enjoyed in this historic region. Take in the natural beauty of Carcoar Dam or visit one of the largest gold mines in the world! The heritage of the region is truly unique providing a rare glimpse of period architecture from early Australian settlement - magnificently preserved for over 150 years. Expect spectacular rural landscape, big open skies, four distinct seasons with locals providing a warm welcome by sharing stories from a bygone era of bushrangers, gold rush days and farming culture. Located in the heart of a dynamic food and cool climate wine region, a vibrant community awaits in our villages with a growing number of retail outlets and modern conveniences. We are thrilled to announce the #BlayneyHayBaleArt Challenge 2017 has been named as a NATIONAL FINALIST in the Australian Event Awards! 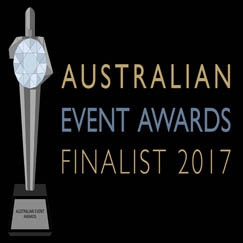 Full details here - http://www.eventawards.com.au/news/249/107/Australian-Event-Awards-2017-Finalists-Announced.html Thanks to everyone who made it such a success! This also qualifies us for the Australian Favourite Event Award which is open to public voting so we need everyone to VOTE NOW for us via this link http:// www.eventawards.com.au Pls share with your networks and encourage voting! 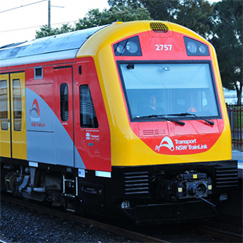 NSW TrainLink operates a daily train service each way from Sydney through Blayney, and several coach services from other areas. For information on NSW TrainLink services and to make a booking visit http://www.nswtrainlink.info T 13 22 32.